You can drive your car when you want to - you'll just need to plan ahead a little and make sure that you've always reserved your car through the booking platform when you need it. Otherwise, it will show up as available for Borrowers. Our members' site has a full calendar system that makes it super easy to reserve your car for any recurring events or one-off trips. You can manage your calendar from your desktop, tablet or smartphone. Read the instructions here. What if your car is booked when you need to drive? If something pops up suddenly and you realise you need to drive, but your car is already out making you money, don't panic! 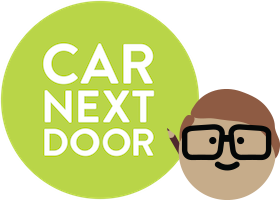 You can jump online and instantly book another neighbour’s car nearby. Although you'll pay for the trip, it will almost certainly be cheaper than cancelling the booking on your own car. Not only would you lose the income for that booking, but you may also pay a cancellation fee for inconveniencing the Borrower (not to mention the risk of upsetting someone who could become a regular customer! ).